Toddlers are constantly on the go. They’re crawling, rolling, running and falling. Clothing that’s both easy to move around in, but strong enough to withstand the abuse it’ll go through is key. 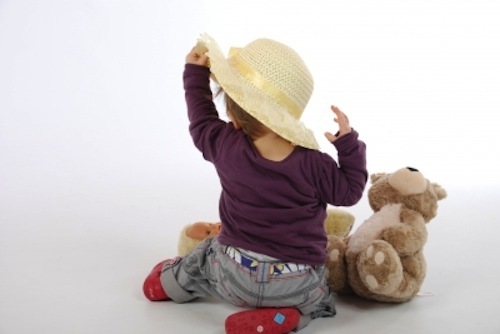 Read up on some of MomTrusted’s toddler must-haves. Go for cotton. Cotton’s one of the easiest fabrics to wash and dry. It doesn’t wrinkle as badly as some. Plus, it’s usually one of the least expensive fabrics, making it easier to part with when it gets a giant grape juice or grass stain. Also, avoid turtlenecks (unless they have snaps) because they tend to be tough to fit over heads when bodies are squirming around. Warm exterior is essential for little ones in a chilly climate. Toddler love to run wild outdoors so make sure they’re prepared to fight the elements. A hood is also important for keeping ears warm and they’re great because they won’t get lost like hats and ear bands. Leggings stretch, making them easy to move around in and easy for you to put on your child. Black is key because the color camouflages grass stained knees and a sandy behind. For the first time, your little one will need regular shoes instead of little booties or socks. Since walking’s a bit new, make sure they have a sticky, rubber sole for extra traction. Also keep in mind that laces can be annoying since toddlers can’t tie bows yet. You may want to opt for Velcro. Make sure to keep your child warm by buying him or her snuggly sleepwear. Fleece is nice and toasty. Plus, it’s soft! Avoid onesies, especially for those in the process of potty training. Accidents are most likely to happen at night and onsies can be tough for your tot to wiggle out of and they make the changing process tough. -“Products you need for you toddler.” Baby Center. Great list! Velcro shoes, rain boots, and vests are good too.